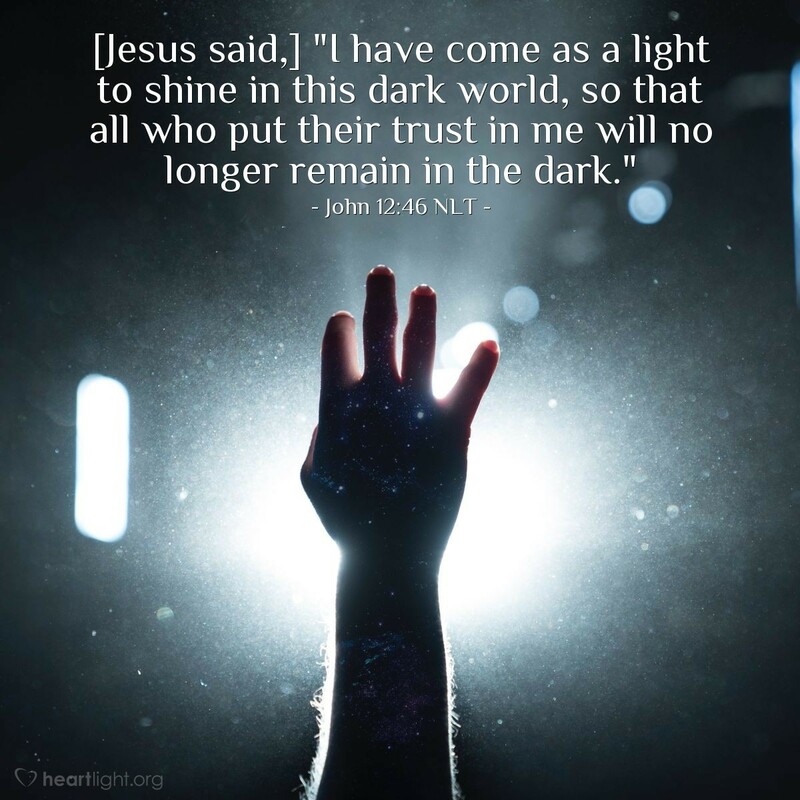 [Jesus said,] "I have come as a light to shine in this dark world, so that all who put their trust in me will no longer remain in the dark." At one time or another, most of us have been trapped in a darkened room and could not see anything until our eyes adjusted. Then, no matter how faint or far away, we began to move toward the light. Light casts out darkness. Light leads us away from darkness. Light triumphs over darkness. Jesus is our light! Let's move toward him and leave the darkness of Satan and the darkness of this world's troubles behind us. Holy and righteous Father, on the dark night of the soul when all seems so discouraging, please help me find Jesus. I confess that I often try to solve my own problems with my own limited wisdom. Instead of escaping my darkness, I find myself more deeply entangled in it. Please lead me to Jesus so I can find the light of life! In Jesus' name, I pray! Amen.